Why bring your skills and talents in the culinary arts to a grocery store? 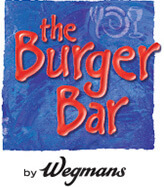 Because Wegmans is much more than an average grocery chain. As part of our culinary team, you’d be working for a company that’s been on the prestigious “Fortune 100 Best Companies to Work For®” list for 20 years in a row. You’ll also work side-by-side with experienced chefs making a wide variety of delicious, fresh and award-winning dishes that meet the needs of busy families and hungry people in the communities we serve. From our prepared food sections to one of our concept restaurants, you’ll make the food that makes a difference in our customers’ lives. We know your growth as a culinarian is important. At Wegmans, you’ll be able to expand on your current skills as a chef and a manager by participating in seminar and certification programs. You’ll have the chance to be mentored by a regional or executive chef who loves the opportunity to share what they’ve learned. In addition to opportunities for professional growth, you’ll have support. From flexible scheduling to great benefits, you’ll be able to do the work you love while living the life you want. Be part of an amazing team. Join our culinary family! Objectives: Entry level position where you will learn from the best culinarians to help you in your start to a long culinary career. Must possess basic food safety knowledge and knife skills and a passion for cooking is a must! Objectives: Build upon your learnings from a prep cook or jump into a role where you will enhance your organization and culinary skills to maximize production efficiency. You will be trained in various stations within the kitchen and learn the IT tools to effectively manage the business. Objectives: Learn how to impact the 5 Measures and about culinary standards while mastering core recipes and cooking techniques with the aim of becoming a Sous Chef upon successful completion of the program. Objectives: Learn how to manage & develop others, build customer relationships, demonstrate proficiency in all aspects of the role, manage production of kitchen; recipes, food safety, policies and procedures & financials. Objectives: Manage kitchen operations, drive knowledge based service, train and develop culinary staff. Objectives: Learn how to partner across the store to provide customers with delicious, innovative meal solutions, control product usage between prep areas, develop culinary employees and bring the What We Do and Who We Are to life. Objectives: Focus on being the primary food resource and setting the culinary standard for the store, partner with Perishable departments to develop food knowledge in all employees and customers. 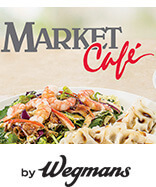 All of our Wegmans stores feature our busy, popular Market Cafe. The “street of shops” area offers an impressive array of foods and cuisines, including home-style prepared foods, plus self-service bars like the Asian/Indian Bar, Vegetarian Bar, Sushi Bar and more! This high-energy, fast paced restaurant features a family-friendly menu of gourmet burgers, sandwiches and salads all of which are cooked fresh - to order. Develop your skills of working a line and prepping. This full-service, casual restaurant has a from-scratch menu that is supported by the ultimate pantry, our market! The bar features hand-crafted cocktails, local beer and an inviting environment. Hone your line skills and develop your ability to create menu items with your culinary mentors. This casual, fine dining Italian restaurant features a Chef-driven seasonally inspired menu of authentic Italian Cuisine. The incredible service is accompanied by an exclusive wine and beer list. 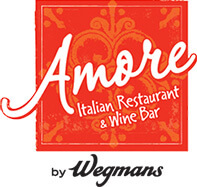 Dive deep into authentic Italian Cuisine working side by side with a culinary expert. At this fine dining restaurant, you will find a Chef driven and seasonally changing menu consisting of world class cuisine inspired by European and Japanese techniques and ingredients. 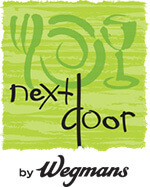 The award-winning wine list, craft cocktails, high energy open kitchen lend themselves to the very best dining experience ...that Wegmans has to offer. Work in different roles throughout this large kitchen brigade and gain exposure to unique ingredients, and top-notch Chefs.